How healthy are the World’s Oceans? The World’s oceans cover almost 71% of Earth’s surface. To mark World Oceans Day this week, New Zealand helped to launch the first World Ocean Assessment to determine the health of our oceans. To celebrate World Wetlands Day DOC’s Jackie van Hal reflects on the status of New Zealand’s protected wetland areas. Wendy Jackson provides policy, strategy, and implementation advice for DOC on a number of international conventions relating to wildlife. She attended the recent conference in Thailand on the Convention on International Trade in Endangered Species and reports back. 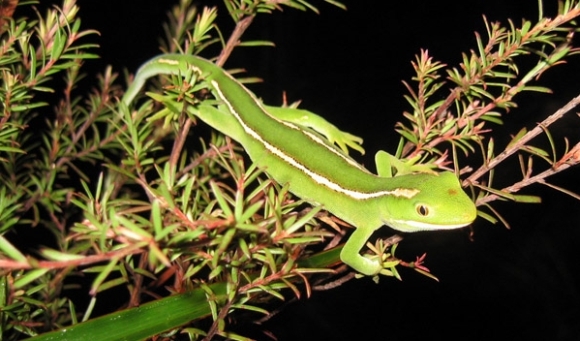 What do New Zealand green geckos, hammerhead sharks, and Madagascar ebony have in common? Aside from being important to ecosystem functioning and holding cultural value, these species were also recently afforded stronger protection in international law through their listing on Appendix II of the Convention on International Trade in Endangered Species (CITES). The increased protection for New Zealand green geckos (Naultinus spp.) is particularly significant for New Zealand. Over the past few years, these species have been subject to high levels of poaching and smuggling, which have contributed to population declines. The proposal for additional protection was submitted to the other 177 CITES member countries last year, and was adopted by consensus last week at a CITES meeting held in Bangkok, Thailand. These additional protections increase the ability of authorities (in New Zealand and overseas) to conduct enquiries, investigate illegal activities and makes seizures. It will also mean harsher penalties under international law for people found to be illegally trading in geckos. This is a fantastic outcome for New Zealand and especially for our geckos! More information about the greater protection afforded to the New Zealand Green Gecko can be found on the DOC website. 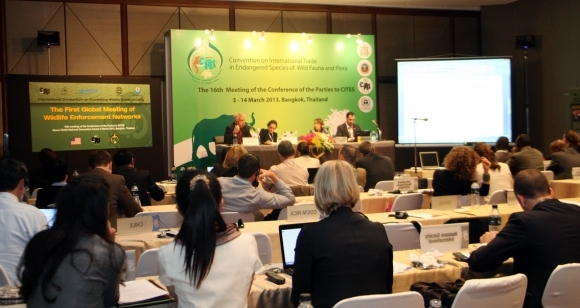 A full summary of the CITES conference is also available.